December is a time of holidays. I stopped at the US Post Office recently to get some stamps and was presented with many choices. There were Christmas (Christian) stamps both religious and secular. I could get Hanukkah (Jewish) stamps. They offered Diwali (Hindu) and Eid Greeting (Islamic) stamps, and I also could have purchased Kwanzaa (a non-religious observance primarily noted by African-Americans.) Each of you will observe special days that relate to your faith and life. May they be days and times that strengthen and renew your spiritual life. Our chaplains, chaplain assistants, and Directors of Religious Education face challenges as they meet the variety of needs and desires of soldiers and families. There is no doubt in my mind they will be up to the task as they provide for the spiritual needs of those whom they serve. That is our Corps’ privilege and tradition. On behalf of the U. S. Army Chaplain Corps Regimental Association, I wish you the joys and peace of your holidays, and pray the Lord will richly bless 2018 for you and yours. 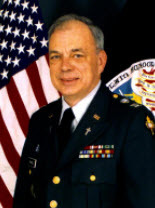 Chaplain (COL) Gilbert H. Pingel, Ret.